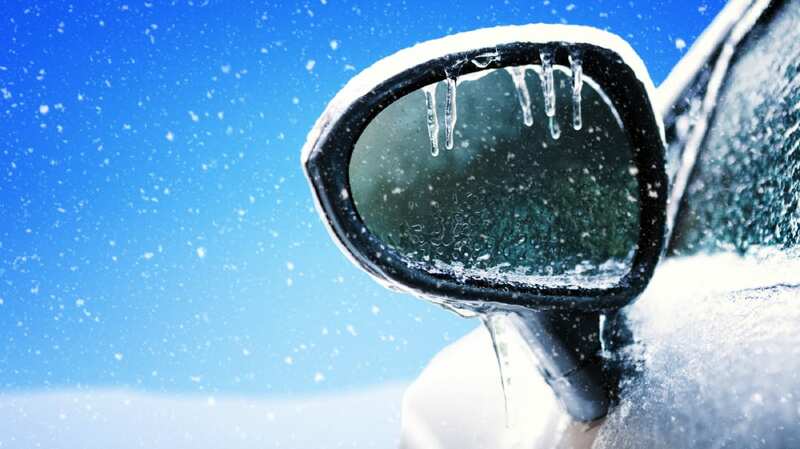 When the inside of your car is no warmer than the frozen tundra outside, it’s easy to believe you need to let your engine “heat up” for a minute or two by idling in your driveway before driving away. The old adage goes that giving your engine time to reach its normal operating temperature is easier on your car than hitting the gas as soon as you turn the ignition on. One 2009 study showed that, on average, Americans believed a car's engine should be left to idle for nearly four minutes in subfreezing temperatures—but it turns out this behavior is not only bad for your wallet and the environment, but your car as well. In 2016, Business Insider spoke with former drag racer Stephen Ciatti to get to the bottom of this widespread myth. Ciatti has a PhD in mechanical engineering from the University of Wisconsin-Madison and has worked on combustion engines for nearly 30 years, so he knows a thing or two about how to best treat your car. According to him, idling your machine in the cold only leads to a shorter lifespan for your engine. In older car models that relied on carburetors to run, frigid weather did pose a threat to engine performance. Gasoline is less likely to evaporate in colder temperatures, which would have led to carburetors failing to get the right mixture of air and fuel into the engine. This sometimes caused cars to stall out, and that's likely what led to the practice of heating up our vehicles in our driveways in the winter. But if you’re driving a car that was made in the past few decades, this is no longer something to stress over. Beginning in the 1980s, car companies began replacing carburetors with electronic fuel injection, which uses sensors to calculate the correct mixture of air and fuel to supply your engine with. When temperatures dip below freezing, your engine is already aware of this and adjusts by introducing more gasoline into the fuel mix. By letting your car idle, you’re subjecting your engine to more gasoline-rich fuel than necessary, and this ends up stripping oil from your engine’s vital components. "Gasoline is an outstanding solvent and it can actually wash oil off the [combustion chamber's] walls if you run it in those cold idle conditions for an extended period of time," Ciatti told Business Insider. He said this washing action can gradually "have a detrimental effect on the lubrication and life of things like piston rings and cylinder liners." So in the end, what you intend as gentle behavior toward your car’s engine could turn out to be the opposite. Once your engine reaches a temperature of around 40 degrees it switches back to its regular fuel mixture, but idling doesn’t help it hit that point any faster. According to Ciatti, the fastest way to heat up an engine is to actually drive. But don’t take that as an excuse to go gunning down the driveway: Your engine will take between five and 15 minutes to reach a normal temperature from the moment you hit the gas. Until then, go easy on the pedal to avoid putting additional stress on your engine.